A simple design, grey tinted with silver frame. 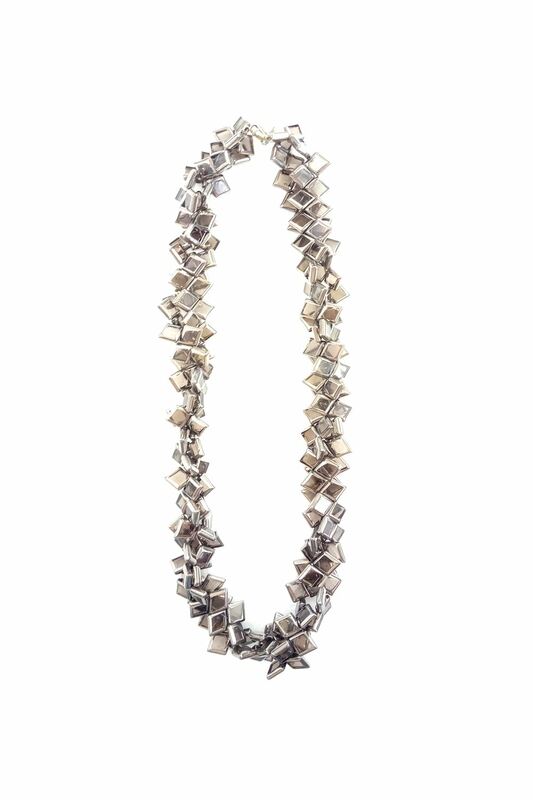 A gorgeous monochromatic necklace to class up any of your outfits. 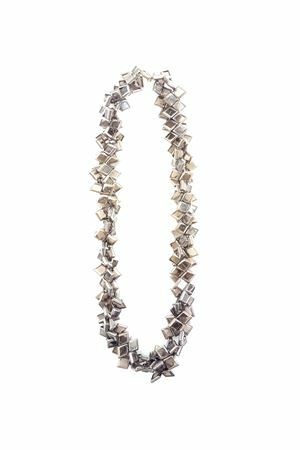 Wear it as a opera necklace or twist it around for a modern choker look.